The importance of transnational corporations (TNCs) for developing countries, broadly understood as emerging markets, transition economies and less developed countries, has been increasing over the last 20 years and the spread of globalization has raised a new set of issues in relation to TNCs. After being deemed as exploiters, met with reluctance from host governments, the tides have changed and many developing countries now welcome TNCs and view foreign direct investment (FDI) as an important source of development. 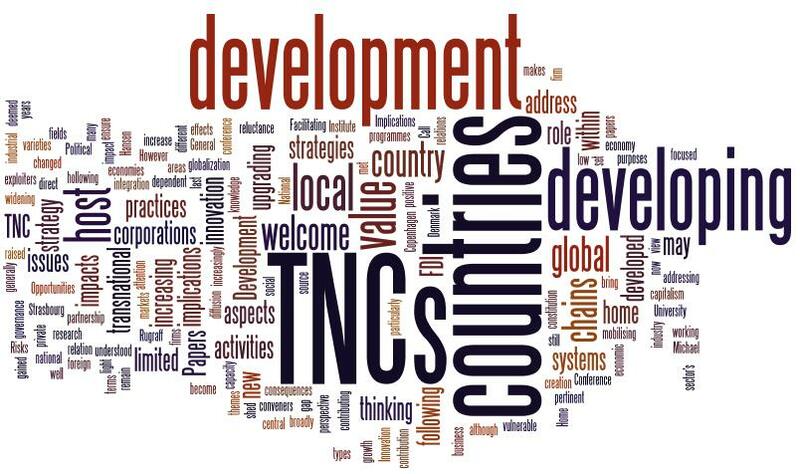 TNCs may play a central role in development by increasing economic growth and contributing to social development. But TNCs may also bring developing countries on a dependent path where local firms remain focused on low value added activities and where host countries become increasingly vulnerable to the global strategies of TNCs. More generally, the private sector’s contribution to development has gained increased attention within firm strategy and management thinking as well as within thinking on development strategy. However, research on the impact of TNCs and FDI on developing countries is still fragmented and limited in various fields, which makes it pertinent to shed new light on these aspects.